To Jo, friend. From anonymous. thanks for being there when I needed you, when I didn’t know anyone else like you. I’m sorry it ended the way it did and I hope that your life became infinitely better like mine did. 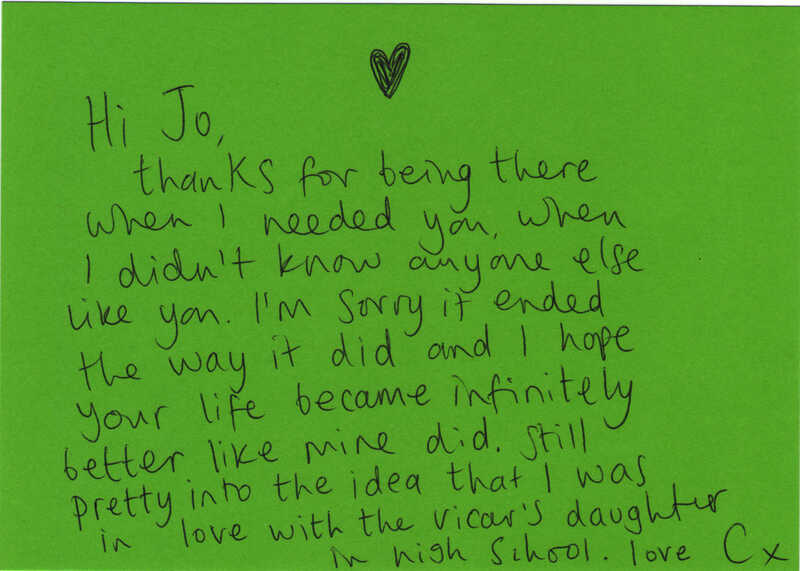 Still pretty into the idea that I was in love with the vicar’s daughter in high school.